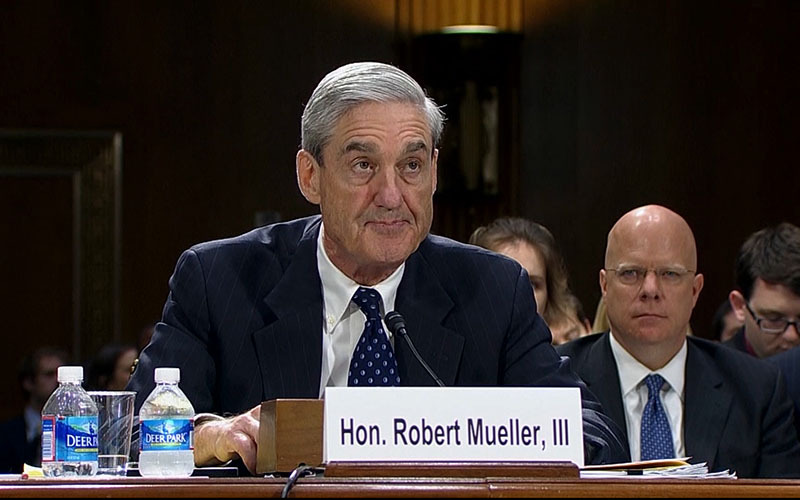 WASHINGTON – Arizona lawmakers’ reactions to the report on the Mueller investigation were much like the summary itself – open to interpretation depending on which side of the aisle was talking and far from the last word on the topic. While Democrats demanded that the full report be made public, most Republicans echoed President Donald Trump’s claim that he was “completely exonerated” by the report on the almost two-year investigation into possible Russian meddling in the 2016 elections. 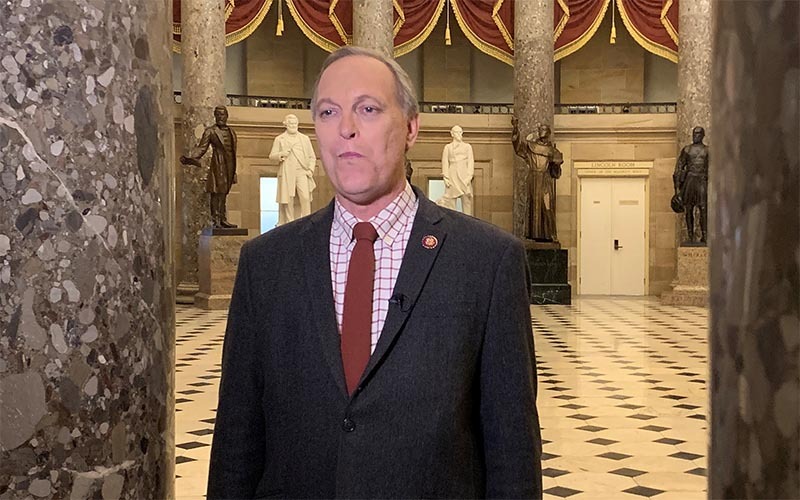 And some, like Rep. Andy Biggs, R-Gilbert, joined the president’s call to turn the tables and investigate the investigation. “Fired FBI Director James Comey and others responsible for instigating this farcical investigation for the sole purpose of undermining President Trump must be prosecuted,” Biggs wrote in an op-ed for Fox News. Release of the report was one area where most Democrats and Republicans were in agreement Monday, but for different reasons. Rep. Ann Kirkpatrick, D-Tucson, called on Attorney General William Barr to release “every word” of Special Counsel Robert Mueller’s report. Mueller’s report was delivered Friday to Barr, who sent a four-page summary of its principal findings to Congress on Sunday. Barr said it is his “goal and intent” to release as much of the report as possible, but that parts – like classified information, grand jury testimony or details of ongoing investigations – cannot be released and that he is still reviewing the document. Barr’s summary covers a massive report, spanning 22 months of work by 19 attorneys, 40 FBI agents and analysts, who issued 2,800 subpoenas and 500 search warrants and interviewed about 500 witnesses. It has already resulted in convictions of several people connected to the Trump campaign, and spun off other investigations. The report is not so clear on the question of whether Trump attempted to obstruct the investigation, by firing Comey, threatening others and suggesting possible pardons for witnesses in the case. Barr said while Mueller’s report “does not conclude that the President committed a crime, it also does not exonerate him” of obstruction charges. That call was left to Barr and Deputy Attorney General Rod Rosenstein, who determined that none of the actions in the report amounted to “obstructive conduct” with a link to “pending or contemplated proceeding, and were done with corrupt intent” – all three of which would have to be shown to win an obstruction conviction. That amounted to a “complete exoneration” for Arizona Republican lawmakers, and a feeling among Democrats that the summary report wasn’t enough to close the books yet on the issue. “A brief summary to Congress isn’t enough, and the American people deserve to know the full findings of the Special Counsel,” Rep. Raul Grijalva, D-Tucson, said in a tweet Sunday. Democratic chairs of six House committees have already written to Barr, demanding that he turn over the full report within a week. But Sen. Martha McSally, R-Arizona, looked at the summary and said it’s time to move on from the investigation. Rep. Ruben Gallego, D-Phoenix, lashed out at Rep. Dan Crenshaw, R-Texas, who suggested that Democrats had been “exposed” by the Mueller findings. “Trump literally asked the Russians to get the emails on camera,” Gallego tweeted. “They had secret meetings with Russians that they lied about, let alone telling the Russian ambassador that he fired Comey because of the investigation. “Wait for the report to come out before you get on a high horse,” Gallego said. “These questions can only be answered by releasing the Special Counsel’s full report and its underlying evidence,” he tweeted Sunday.